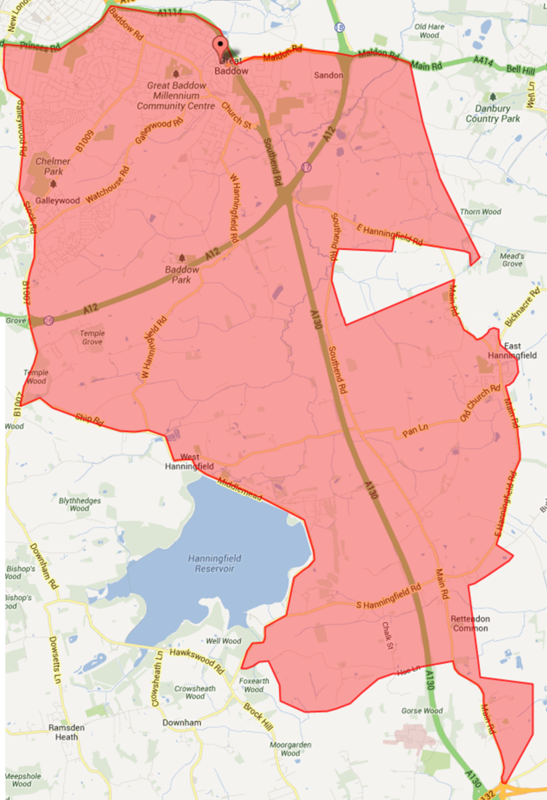 The doctors welcome new patients who live within our practice area (see map below). We do not register patients who live outside of our practice area. As it often takes some time for records to be forwarded from your former practice all newly registered patients, over the age of five years, will be asked to complete a health questionnaire. The adult health questionnaire is included in the Adult Registration Pack and the child questionnaire included in the Child Registration Pack. Information on how we process your data is available on the home page of our website and in the surgery waiting room. Please see the links below for information leaflets for children and adults. We request that you register as soon as you move to the area so we have adequate time to register you on our clinical system and request your previous records, before you require an appointment. We also require you to complete a the consent forms which are included in the registration packs when registering so that your medical record is coded with your consent/dissent to share data and forms of communication. Please note we require parental consent for all children under the age of 16. If you have medication that is prescribed monthly please make an appointment to see your usual GP before this is due to be issued as you will need to have a medication review. Registration forms are available at reception alternatively, you can print off and complete the registration form below, and bring to the practice with you to register. Our patient booklet gives details of the services we offer, contact details and surgery opening times. If you require a paper copy of the booklet please ask a reception team member. If you have a disability or sensory loss and require your information to be available in a specific format please complete the Accessibility Standard Form which is included in the Adult Registration Pack or advise a team member. You will also be required to provide two forms of identification. Proof of address - such as a recent utility bill (mobile phone bills not acceptable). Without the required ID you will not be registered. Please avoid the hours of 8am - 9:30am for new registrations as our reception team are particularly busy during this period. Whilst registering with the surgery please register with SystmOnline. This will enable you to book and cancel appointments with a GP, request repeat medication and view blood test results (GP approval required for access to detailed coded record). Please also include your email address and sign to give consent for us to contact you via your email. This method of communication enables us to contact you faster than posting a letter and it is much more cost effective. Why not sign up for Electronic Prescriptions when registering? We always appreciate your feedback as it helps us to continually improve our service to you. Some recent positive feedback from patients is shared below. "I have been on the surgery's books for many years and have been well satisfied with the treatment I have received at the hands of 'my' doctor and the practice nurses. I've been reassured when symptoms have worried me, and have been dealt with patiently when I have let my weight increase and neglected my exercise. It often takes a longish while to get through to the receptionist by phone, so I usually pop down to the surgery to make an appointment. Instant appointments are a thing of the past, but should I need, or think i need, instant attention, I'm offered an emergency appointment at the end of morning surgery. I've been aware of the increasing difficulties GP surgeries labour under in Essex, and most of the country, and consider Baddow Village Surgery something of a gem." "A huge thank you to the nurses for the treatment you have given my son. You were amazing." "In the thirty years or so since moving to Chelmsford I have found this surgery faultless - the staff work hard, my doctor is exemplary." "Considering the number of patients we should be proud of having such excellent services in the community. I have always found nothing but consideration for patients from what must be a heavy commitment to the doctors and staff." "I would like to thank Dr Langdale-Brown for taking my extreme concerns about my mum's mental health seriously and initiating a mental health assessment. Although Dr. Stern had only acted as my mum's GP for a relatively short time he did seem to also understand that there were serious issues and I would like to thank him for taking them seriously." "I'm not sure which secretary to thank, but I sent an email on Tuesday regarding problems with a referral. I received a phone call from a practice secretary who gave me the name and number of someone at the Mid Essex Referral Centre. I'm now very pleased that I finally have an appointment. So I just wanted to thank the secretary I spoke to." "I would like to say thank you to all at Baddow Village Surgery for the help and kindness shown. Knowing that help was only a phone call away lowered a lot of the stress." "My family and I cannot thank you enough for the care that you gave. I must repeat that we have only praise for the treatment that you and all members of staff gave." "Wish to thank you for taking the time and trouble to establish the situation. Thank you for your support and interest." "Impressed by the high level of care you give to your patients." "Excellent care this morning as always. I can't fault this surgery at all." "Thank you for all your help always." "Couldn't manage without you. Thank you." "Very happy with treatment recieved. The receptionists are always helpful and efficient." "I am very pleased with the care I have recieved from the surgery over the last 30 years." "Always here for us in good times and bad." "I have nothing but praise for all staff having been coming twice a week for two years." "Thank you for your help when I needed you all." "An extremely caring group of doctors and nurses." "This practice is so efficient, polite and hardworking." "Thank you for all you do for us throughout the year." "Have full confidence in the surgery and all who work within it. Professional and caring service." "We are very happy with our surgery and grateful for the excellent care we receive." "The staff take the time to care!"